“I’ve always remembered it as an old New York that you don’t really see..” 2015. Embroidered painting on fabric with embroidered sculpture (doll). Flat painting: 11.5″ x 11″. Doll: 8.5″ x 2.75″ x 1″. 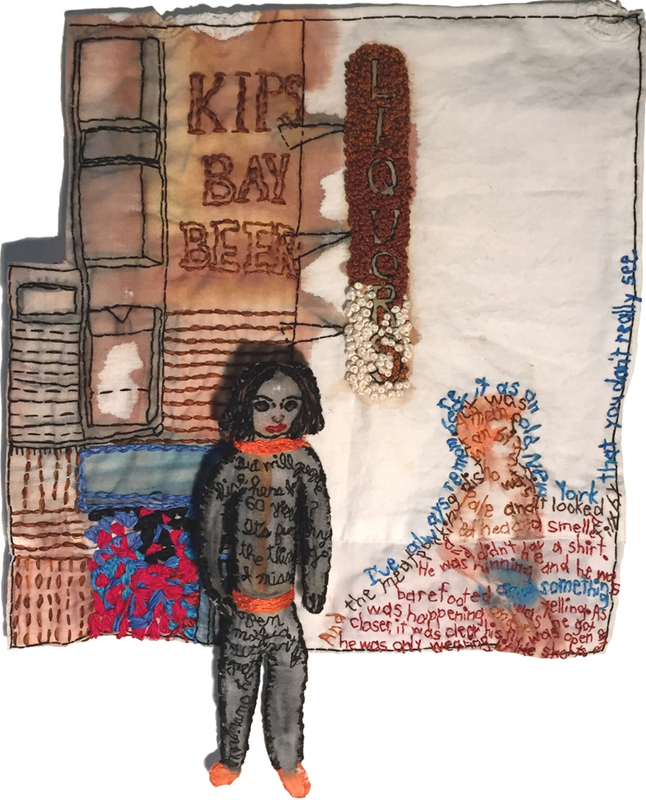 Thank to the Brooklyn Arts Council and the Greater NY Arts Development Fund of the NYC Department of Cultural Affairs for partial sponsorship of this project, my portrait of acculturation versus assimilation in ever-shifting Brooklyn. Accompanying stop motion animation by Iviva Olenick with voice by storyteller, Sherri Kronfeld.